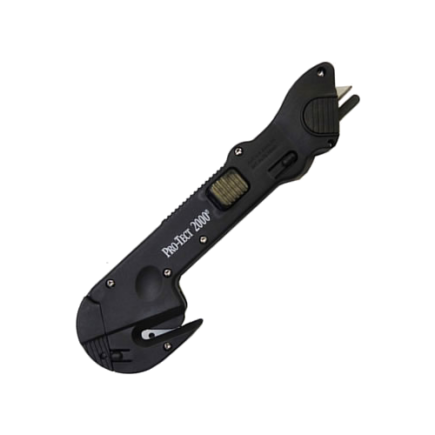 The PRO-TECT 2000 is a handy safety knife where you can make strap cuts, film cuts, tray cuts, tape cuts, top cuts and many more without damaging the product inside. Setting blade depth is quick and easy. The Easy Cut Protect 2000 safety knife is a handy safety knife where you can make strap cuts, film cuts, tray cuts, tape cuts, top cuts and many more without damaging the product inside.